Exactly eighty-one years before the mess of 11/3/1979, a coalition of white leaders and white supremacists took to the streets in Wilmington, North Carolina, killing over a hundred African-Americans in the process of performing a coup d’etat. A group of white political and business leaders stole an election, where African-Anericans had successfully served in positions of local government just 25 years following the end of the Civil War. Not content with the speed of the political change over, the newly “elected” powers overthrew the established leaders by launching a riot, resulting in the hundreds of deaths, while driving numerous more African-Americans out of town. The progressive nature of African-Anerican citizenship and inter-racial political cooperation in North Carolina absolutely preceded the national civil rights movent of the 50’s and 60’s. This one event completely reversed the course of civil rights in all of North Carolina and served as a signal to the nation that African-Americans continued to have zero civil rights. Fun fact: The next five governors of North Carolina had all participated in the coup and riot of 1898, including former governor Charles B. Aycock. Greensboro residents should be distinctly familiar with that name. 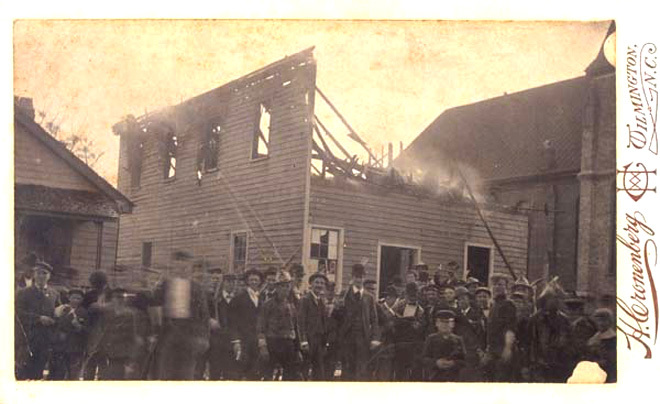 The 1898 Wilmington Race Riot Commission released their report just five days after the Greensboro Truth and Reconciliation Commission‘s report went public. Considering that the events of ’79 pale in comparison to the massacre – coup d’etat of ’98, and based on the often chilly, local conversation surrounding the GTRC report, I can only guess how many supposed “progressive” North Carolinians will view the recommendations of the State President of the NAACP, let alone the final recommendations to come later this year. Not to sound like a PSA, but our collective, understood history too often defines our future actions in defining community. For those of you with limited time to investigate this issue, take a listen to this amazing State of Things broadcast, which dissects the history of the 1898 Wilmington Race Riot, provides context to the political and cultural isses of the day and discusses how the NC State legislature might proceed from the soon-to-be published recommendations.